Talk of contracts has been going on since the beginning of freelancer’s time. There are lots of things to consider when taking on a new client or job and a contract can really help to clear up any problems before they even arise. So do you have one? Do you want one? This is what we think. A contract is a legal agreement between yourself and your client and is the very best way to protect yourself as a freelancer against misunderstandings. It’s basically saying what you will and won’t do and letting them know your terms of the agreement before you start to do any work. If a magazine doesn’t pay till publication and you’re doing a Christmas real home feature in February and you have 30 days payment terms then you both need to discuss this before you start any work. A contract makes sure everyone knows where each other stand. The main reason for having a contract is in case a dispute arises. It’s far easier to sort out problems if you have everything written down in black and white. It will also be more likely that everything will run smoothly when a contract’s in place. Do I need a contract just for new clients? What about existing clients? As a freelancer many of us have long-standing, existing clients so the thought of introducing a contract for the first time – two, five or even ten years down the line, may bring a shudder down your spine, but remember you are a business – a one-man band, solopreneur, freelancer business but a business nonetheless. Sharing a contract with a client old or new will give you a professional appearance and if you’re uncomfortable with asking an existing client to sign a contract just say you ‘have been advised to have a contract from now on due to the copyright laws that came into place in 2016 and have been affecting the interiors world ever since’. It’s not a lie. It has! Can I write my own contract? Well, yes you can but it’s always better to get professional, legal advice. You knew we were going to say that, didn’t you? There’s a lot to be considered when writing a contract and all it takes is one dispute and the client’s solicitor to pick apart your homemade contract and you’re less likely to be able to stand your ground. It’s easy to think you’re completely covered when you’re not. We would advise against it. Where do I get a contract and what does it cost? Contracts are usually obtained by discussing in detail what your work entails with an employment solicitor or lawyer, and then working out exactly what you want your terms and conditions to include. Costs can range from anything from £1000-£1500, Plus amendments. It’s a pricey business. Thats the big question. 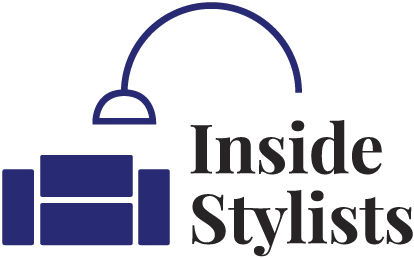 Would you be interested in purchasing a contract from InsideStylists if we commissioned a legal team to draw one up for us? We’re seriously thinking about it. The more people come in together to create one the better and we would all benefit. If you are interested in creating a contract let us know by contacting us here and letting us know your thoughts.